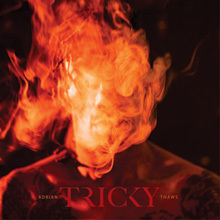 Recorded in Tricky’s home studio in London, Adrian Thaws is a musically adventurous project and collaborators on the album include Francesca Belmonte, Nneka, Mykki Blanco, Bella Gotti, Tirzah, Blue Daisy and Oh Land. Adrian Thaws is out now on False Idols in association with !K7 Records. A 2LP Vinyl Gatefold and Deluxe Hard Case CD edition featuring a two bonus tracks and an exclusive booklet comprising never before seen photos from Tricky’s youth are available to buy now via the !K7 store, hand signed by the artist.